The Indigenous People of Biafra (IPOB) has withdrawn its threat to stop the conduct of the November 18 governorship election in Anambra State. 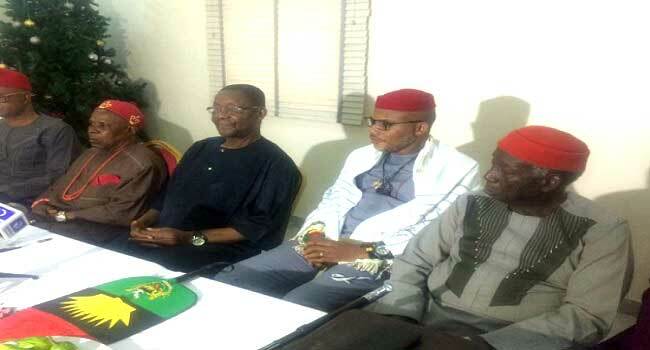 The decision was reached after a meeting organised by a non-governmental organisation, the Ala-Igbo International Foundation with the leader of IPOB, Nnamdi Kanu in Owerri, the Imo State capital. Leader of the foundation, Professor Uzodinma Nwala, says after much deliberations which they say is still ongoing, IPOB has assured the Igbo leaders that it won’t disrupt the November 18 governorship election. People who are eligible to vote have also been told to go out and exercise their franchise without fear of molestation. The Ala-Igbo Development Foundation is an Igbo group that brings together Igbo academics, elders, clerics, patriotic public figures, women and youth, both at home and abroad, with the main objective of protecting and ensuring the survival of Ndigbo, their culture and civilisation as well as the development of Igboland.